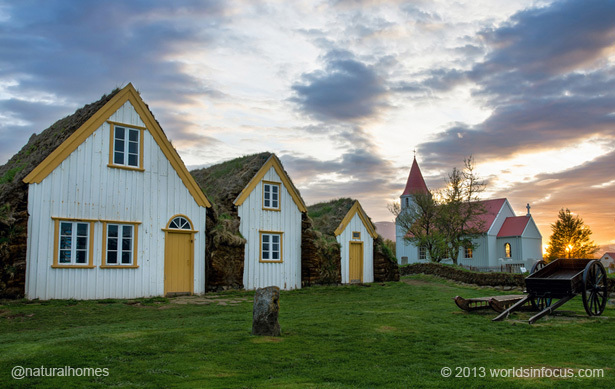 The turf homes at Glaumbaer Farm, Iceland. Why are turf blocks in a turf wall arranged in a zigzag design? 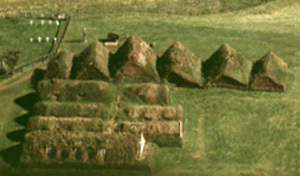 This is part of the collection of turf homes at Glaumbaer Farm in Iceland. The guest room, on the left (No.12 in the plan below), was built in 1878 beside the earlier room on the right (No.2) built in 1841. You can see the layout of the buildings in this extensive turf home complex with interconnecting corridors below. The buildings are made from thin shells of wood separated from one another, insulated and roofed by thick walls of turf built in a zigzag design [ discussion]. Icelandic grass grows very thickly producing a strong and enduring combination of roots and soil. A turf building, in districts of moderate rainfall, can last up to a century. The roof must be sloped at the correct angle; if it is too flat, water leaks through and if it is too steep, the turf cracks during spells of dry weather or drains too quickly so the grass doesn't grow, both resulting in a roof that leaks. You can take a tour of the turf farm in the video above. And down in deep dales to kiss girls with gorgeous hands. 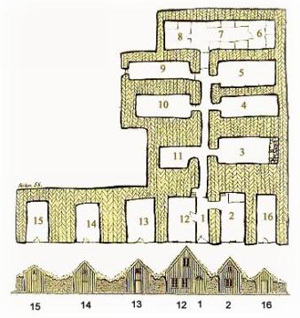 A group of smaller houses like this, connected by a central passage, is called the passage-farmhouse (gangabær). This was the predominant house type from the Middle-Ages until the 19th century. 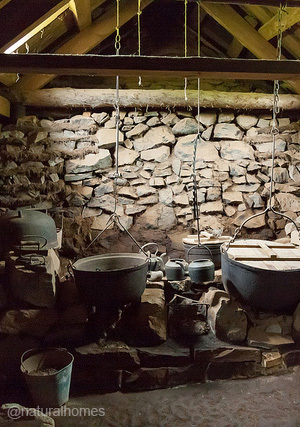 The technique of building from turf in Northern Europe dates at least back to the Iron Age. Turf buildings have been built at different times in many different countries such as Norway, Scotland, Ireland, Faeroe Islands, Greenland, other parts of Northern Europe (such as the Netherlands) and even on the Great Plains in the USA. In the picture bellow the entrance to the large house provides access to the maze of turf rooms behind the front terrace of buildings, see above left. 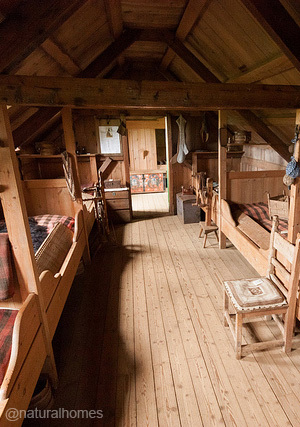 These include the dairy (11), the kitchen (3), the pantries (4 & 10), a guest room (5) with a separate entrance (9) and the family living area and bedrooms, called a Baðstofa (6,7 & 8) with 11 beds. 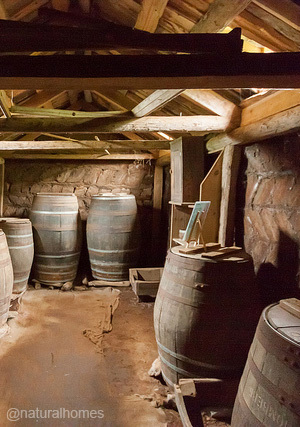 In the front terrace were the smithy (15), storerooms (14, 13), a guestroom (2) and a fuel store (16).